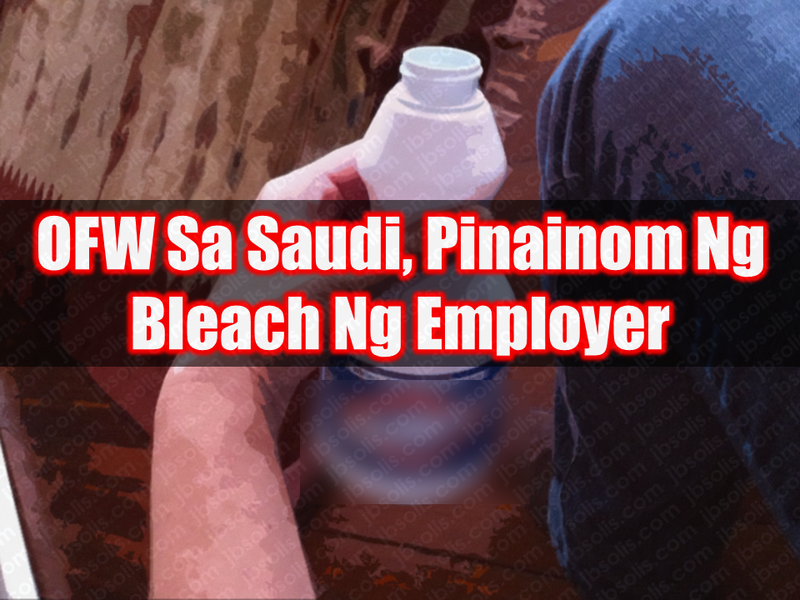 The Department of Foreign Affairs (DFA) is closely coordinating with Saudi Arabian authorities to ensure that justice will be served against the employer of an overseas Filipina worker who is in serious condition after her employer allegedly forced her to drink household bleach. According to DFA, Agnes Mancilla was rushed to the King Fahad Central Hospital in Jizan on April 2 by concerned Filipino community. The doctors conducted laparotomy procedures to remove the bleach from her system. Burn marks are also found in the OFWs back. The Filipina household service worker is now in serious condition and remained in the hospital for recovery. Based on information reaching the DFA, Mancilla suffered physical abuse regularly since working for her employer in 2016. She was also refused pay for her work. Consul General Edgar Badajos assures that the consulate "will regularly send representatives to Jizan to follow up her case with the police and to look into her condition." Badajos has also requested the Filipino community to take care of the Mancilla. Badajos said Consulate officials have visited Mancilla and made representations with authorities in Jizan to make sure the appropriate charges were filed against her employer, who was already in the police custody after being arrested by police. President Rodrigo Duterte has ordered the ban on the deployment of OFWs to Kuwait following reports of abuses, among them the killing of Joanna Demafelis, whose body was found inside a freezer in an unoccupied apartment last February. During his visit to Pahima Alagasi, the OFW who returned home four years after her Saudi employer scalded her, last Saturday, President Rodrigo Duterte reiterated that the government is doing every possible way it can to stop abuses againsOFWs in the Middle East.